Hare's ear blended dubbing on a thread for super buggy nymph bodies. A synthetic hackle that can be wound from a small collar to a full palmer style. Easy to trim. 1.8 metre packet. 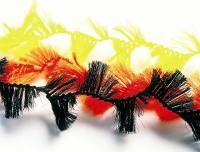 This "thread" based hackle can be wrapped that will be great for predator and saltwater tyers. 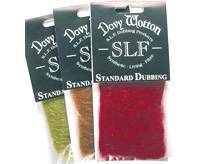 This blend of hare and SLF makes a great dubbing. 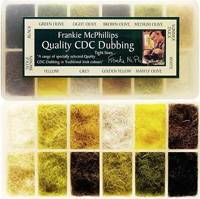 This blend of spikey squirrel and SLF makes a super dubbing that has great lifelike qualities. Unique and obscure dubbing that is 100% natural fur.